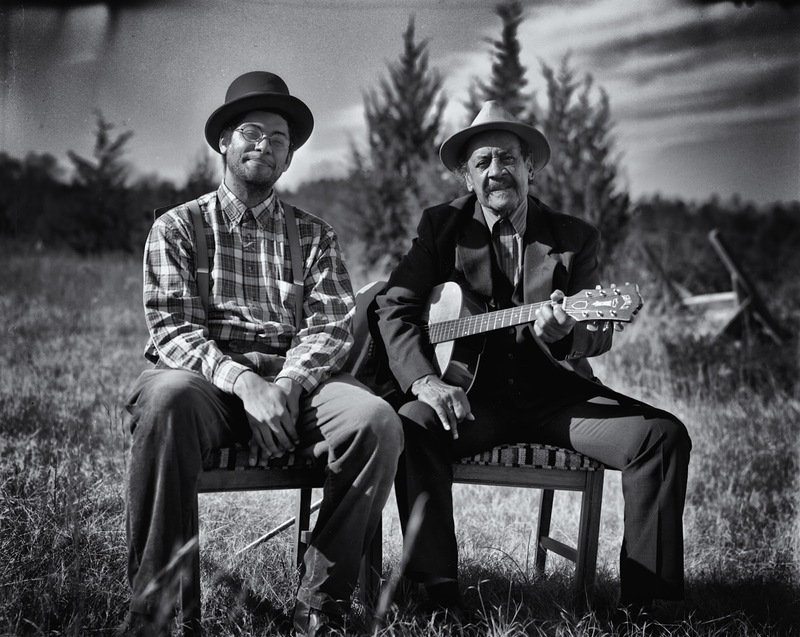 On today’s show I speak with Piedmont blues guitarist and singer Boo Hanks and multi-instrumentalist Dom Flemons of the Carolina Chocolate Drops. They have a new album out on the Music Maker label entitled, “Buffalo Junction” and I caught up with them recently before their show at Joe’s Pub in Manhattan. I speak with Boo and Dom about their influences, style and collaboration over the last several years. We delve into Boo Hanks’ early history growing up on the Virginia – North Carolina border, the “Piedmont” area where his distinctive style of guitar comes from and where he was born 84 years ago. Boo learned guitar from his father but was most attracted the style of Blind Boy Fuller and cites him as his primary musical influence. Boo has worked as a farmer for his entire life, raising his many children on their family farm, and playing guitar for country dances and functions. Over the past several years he has toured extensively, performing his excellent country blues music for audiences around the United States and Europe. Ernie Vega – an awesome folk musician and friend of Down Home Radio – has started a brand new weekly show at 116 Macdougal St. (Btwn Bleecker and W. 3rd St.) in Greenwhich Village, NY, NY. This is the same room that used to be known in the 1960’s as the Gaslight Cafe, probably the greatest small folk club of the 60’s era, where Dylan played, Mississippi John Hurt, Son House, Dave Van Ronk, Stampfel, Ramblin’ Jack, New Lost City Ramblers, all those amazing folks from that era. A new club has opened in the same space and we are lucky to have a regular high quality FREE folk show there every Monday. Check it out! Here’s a link for the facebook group if you wanna get announcements about the show. 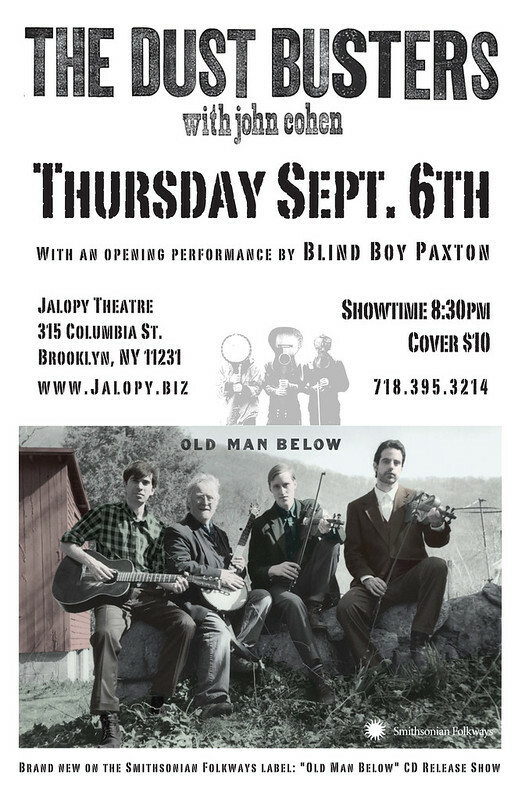 CD Release Show – Thursday Sept. 6th at the Jalopy Theatre! 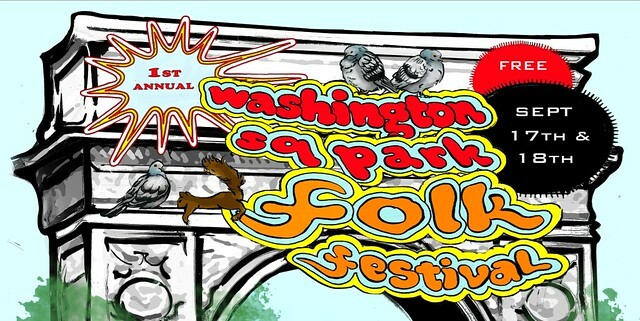 On Friday August 3rd, Eli Smith, host and producer of the Brooklyn Folk Festival and the Washington Square Park Folk Festival presents a night of historical and contemporary labor, union and anti-corporate songs. In our climate of culture scarcity and political stagnation, one could forget that America has produced in its history a wealth of great protest songs. Come to the Culture Project on Friday August 3rd for a healthy dose of this great historic material as well as original songs from today! The show will feature several of the artists performing songs by Woody Guthrie, who would have been 100 years old this year. 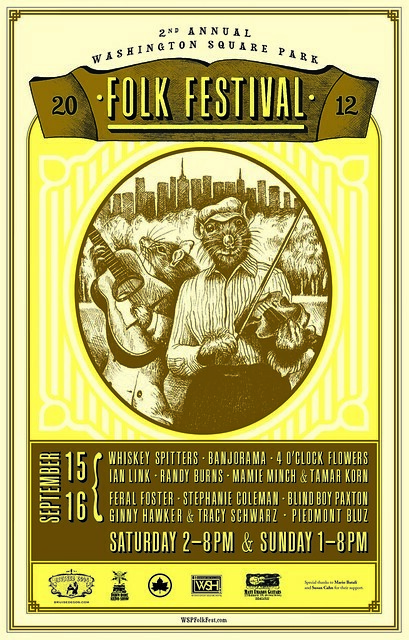 Eli Smith and Peter K. Siegel – Old time union songs, with guitar and banjo, etc. Guthrie is best known as author of “This Land Is Your Land,” but in fact wrote thousands of songs, as well as autobiographical novels, poetry, and humorous op-ed news pieces. He was also a fine visual artist as well as a rambling man, having traveled through out the United States and also Europe and Africa during in his time in the Merchant Marines during WWII. 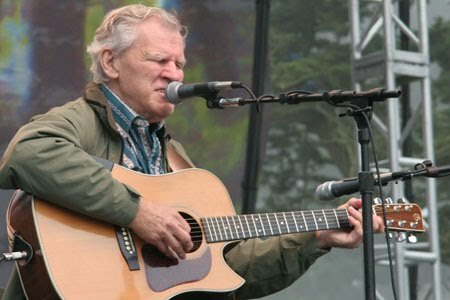 There have been a number of books about his life and a film based on his book “Bound for Glory,” numerous reissues of his recordings, tribute albums and cover versions of his songs in a number of styles, but I’ve found that the least explored area of his work are his actual musical sources and style. Woody Guthrie wrote very few original melodies, he took melodies of old time songs, folk and other songs and rewrote them with his own words to make them his own and into the songs we know today. Most songwriters who claim Guthrie as an influence today do not perform in a style related to Guthrie’s old time style, but instead focus on his lyrics and a some notion of his politics and perform Guthrie’s songs and their own songs in a singer songwriter rock/pop based style. By making these juxtapositions of Guthrie’s songs and their sources (probably Guthrie’s favorite pieces) I hope to place Guthrie aesthetically as an old time / “hill billy” musician much like the other performers featured on today’s show. These are recordings that Woody either enjoyed or I think would have enjoyed, so here’s wishing Woody a happy 100th birthday and I hope you will enjoy the program. Outro Music – Wildwest Rambler by the Crowder Brothers. Once while speaking with the great folklorist Archie Green, he asked me to name examples of old records the prefigured Guthrie’s style. This is one, sounds like Woody and Cisco to me. P.S. 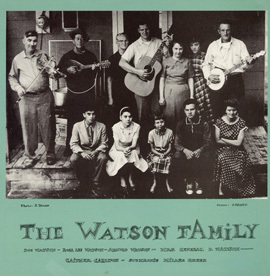 I realized that I should have included “Pastures of Plenty” in this program, which is based on the melody of the folk song “Pretty Polly.” And how could I forget “Tom Joad” based on the melody of “John Hardy!” There are probably others that I missed too! The program was produced for WNYC in 1940 by Down Home Radio co-founder Henrietta Yurchenco. The recording of the broadcast was discovered in 2006, at which time I went down to the archives and picked up a CD dub of it from archivist Andy Lanset. Down Home Radio rebroadcast it for the first time in 67 year in 2007 with commentary by Yurchenco. l to r: Eugene Rector, Woody Guthrie, Fred Smith, J.E. Mainer, Cisco Houston, Wade Mainer, at the BBC Studios New York. September 11, 1944. The scope of Guthrie’s work identifies him as a Popular Front era public intellectual and his influence on generations of artists, mostly song writers, continues to this day. 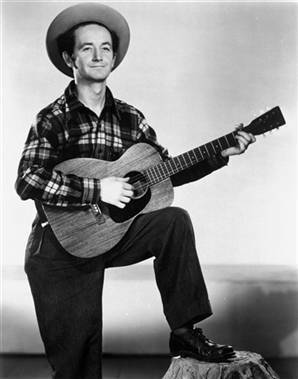 Woody Guthrie was incredibly prolific, especially considering the brevity of his career, cut short by the hereditary Huntington’s Disease that disabled him by the mid 1950’s and took his life in 1967. Songwriter, poet, political activist and Coney Island resident Woody Guthrie, born July 14th, 1912 would have turned 100 years old this year. Best known for his composition “This Land Is Your Land,” a song known as a second national anthem and sung by school children nationwide, Guthrie was a native of Oklahoma who moved to Brooklyn in 1940 and lived here basically for the rest of his life. On Saturday July 14th, Woody’s 100th birthday, the Jalopy Theatre will present a tribute concert to Guthrie featuring a number of New York City and Brooklyn’s best folk music performers, including people that knew Guthrie personally and can speak about him. The event will feature a number of performers including John Cohen (of the New Lost City Ramblers), Eli Smith, Mamie Minch, Ernie Vega, Geoff Wiley, Jesse Lenat, Elizabeth Butters, Stephanie Jenkins, Bob Malenky, Jaime Longhi and others performing Woody’s songs. Smith and Cohen will also be reading brief selections from Guthrie’s works of poetry and goof-offs and Longhi will read from his father’s memoir of serving with Guthrie during WWII. The film “To Hear Your Banjo Play,” the only footage of Guthrie in his prime, will also be screened. Gonna be a great show. The program was produced in 1940 by Down Home Radio co-founder Henrietta Yurchenco for WNYC and the recording was discovered in I believe in 2006. Down Home Radio rebroadcast it for the first time in 67 year in 2007 with commentary by Yurchenco. 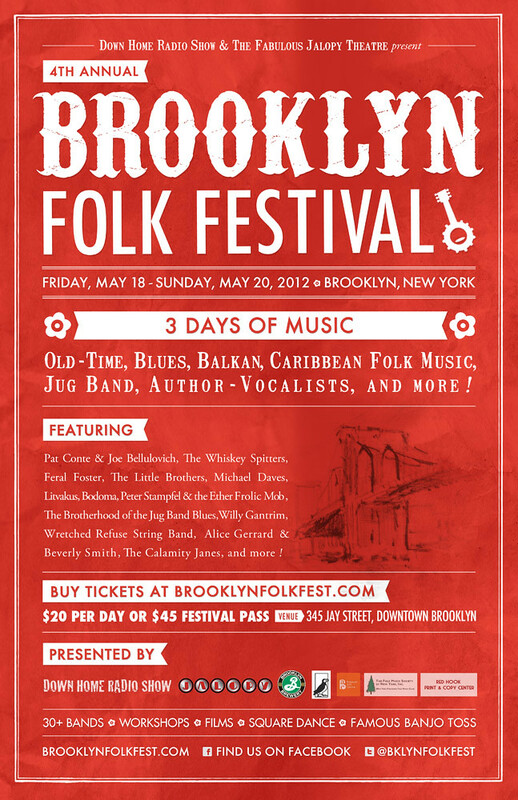 The Brooklyn Folk Festival is almost here! A magazine dedicated to Old Time Music… Subscribe today!